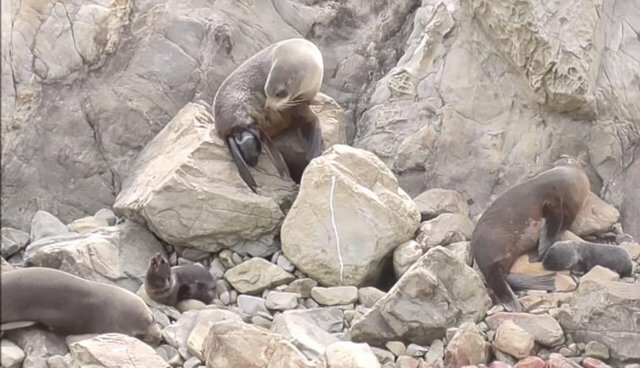 A female New Zealand fur seal giving birth to a pup. The pup is born into a crevice between rocks and is unable to get out. Fortunately it made it out in a couple of days :) It was last seen free of the rock crevice, healthy and suckling from its mother.